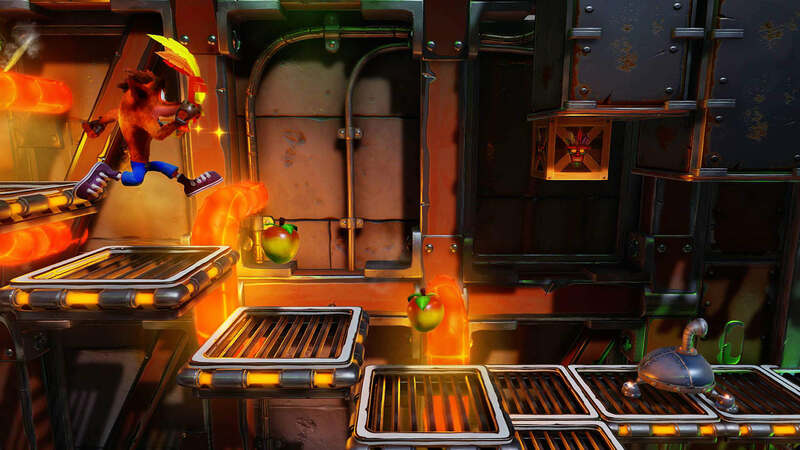 The Crash Bandicoot N. Sane Trilogy is packed with easter eggs and fan service as an ode to the original games. 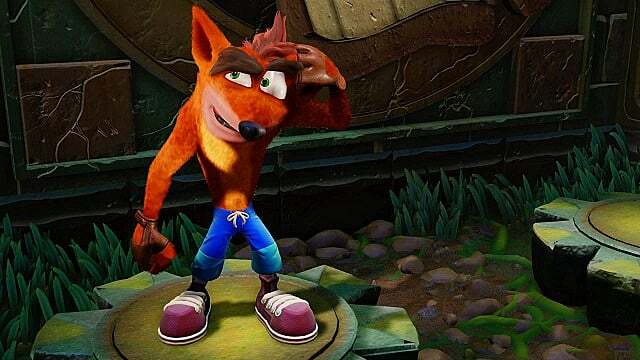 Joining the party is Fake Crash, an easter-egg-turned-villain that debuted in Crash Bandicoot: Warped. 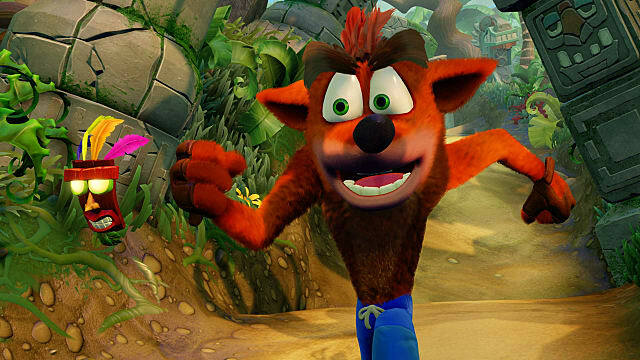 At first glance, he can easily be mistaken for Crash's twin -- but the big-toothed "Trash Bandicoot" wouldn't fool any die hard fans. 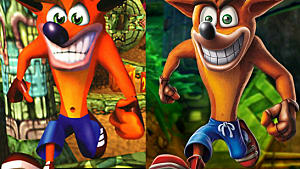 Fake Crash was influenced by some fake mock-ups of Crash, but ended up getting his own roles as a real character in games past the original trilogy. 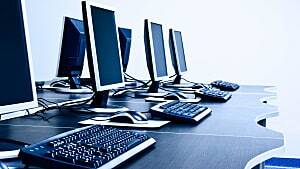 He can be found in the same locations as he was in the original, in addition to a number of new locations as well. Without further ado, let's get right to finding our bushy-eyebrowed friend. 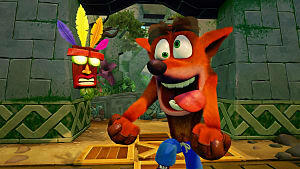 If you just started up the game and were hoping to find Fake Crash right away, you're going to be disappointed. To see him, you have to achieve 100% in each game you plan to find him in. That means if you 100% the first game, you'll find him dancing around aimlessly in that game. But to find him in the other games, you need to 100% those as well. 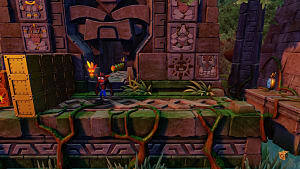 In the first game, you can find Fake Crash dancing in two different levels. N. Sanity Beach -- On the top left-hand side of the first stone stairs. Heavy Machinery -- Inside a pipe in the wall with green sludge oozing out of it. It's right after a descending staircase that leads Crash to a moving platform. 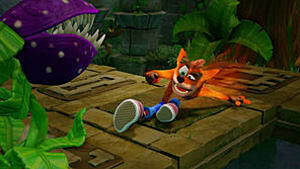 In Cortex Strikes Back, Vicarious Visions included Fake Crash in seven different stages for players to find and adore. The Pits -- On a gray platform the left side of the path, near the first big mushroom. 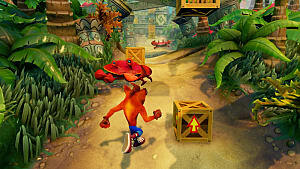 Crash Crush -- In the section where Crash is getting chased by a boulder, he's in a snowy area to the left of all the nitro boxes. Hang Eight -- At the end of the Blue Gem route, on a platform across the body of water. 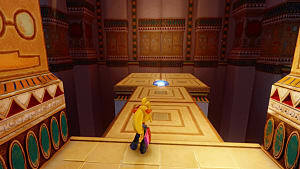 Ruination -- On the right-hand side when you reach the first group of floating moving platforms. Cold Hard Crash -- This one's harder to catch. In the first wall of ice on the death route, you can vaguely see him dancing. Rock It -- In the first glass room in space, on the right-hand side. Totally Fly -- In a similar location to The Pits, he's dancing between a tiki statue and a large tree on the left, a little past the rat with the nitro boxes behind it. 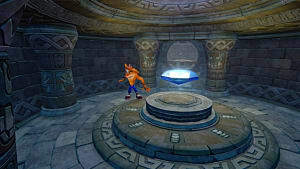 To round things out, Fake Crash can be found in the following four levels. Toad Village -- On the front porch of the third house on the right. 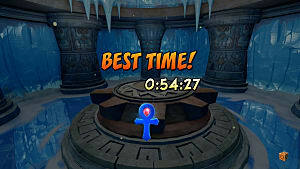 Makin Waves -- At the end of the level on the northern tip of a grassy island. Hog Ride -- Dancing on the left-hand side of the road, right before a curve with the big green billboard. Area 51? -- Once again dancing on the left-hand side of the road, this time near a tall cactus. The goofy looking Crash imitator isn't a playable character, and nothing really happens if you find him. Even so, we can't help but love this simple addition and awe over those sick dance moves.